So, you’ve tried searching for your name, initials or special numbers, but you still can’t find your ideal private plate. What do you do? Give up? No, you let British Car Registrations guide you to alternative options you may not have thought about… after all, we have 30 years experience in the personalised registrations business. We’ve collected some ideas of how you can choose your perfect number plate. Remember, all private registrations have to include at least one number – this means numbers will often be used to represent letters, as long as the DVLA number plate format is followed, this can be very handy when making your own personalised plate. This is the most common type of private plate, but also the most coveted. Make a statement by having your name on a personalised reg. As numbers can be used to represent letters, using the table above you can make first names or surnames… i.e. P3 TER, K4 REN and many more. Be mindful that some of the best plates have already been bought and these are difficult to find to buy. Call us on 0121 353 3333 and we can help you with searching for a full name plate and can even contact the current owner on your behalf should they have it up for sale. If you don’t like the idea of your full name being displayed on a number plate, why not just add your initials? By doing this, you also have the opportunity to hide the age of the vehicle and add a touch of elegance to the vehicle. For example, try the format B1 BCR as a prefix option, or even 1 BCR and see what comes up for your special number and initials. 3) Your Profession or Company. Do you love your job or own your own business? A personalised registration can really make your car or company van stand out… for example, LOO for a Plumber or PUB for a Landlord. We also have a range of DOC or LAW private plates for all you Doctors’ and Lawyers’. Do you have a hobby? This is another great way to personalise your vehicle, and also tell the rest of the world. Support a specific football team? You can now have a football-themed private reg to match your fan tattoo. Are you B16?, BO55y?, HOT? We have over 50 million private plates to choose from, find one to match your personality. M3, A6, BMW, MER, JAG, VW, FRR and so on. Use your imagination and find a combination to suit the type of car or vehicle which will be accessorised with the new private plate. 7) Your Age, Birthday or Birth Year. Try some searches based on the idea above… that way your personalised reg would contain some special numbers rather than a number which has no meaning to you. If you’re thinking about getting a private reg as a milestone birthday present, incorporate 18/21/40 into the search box and see what you can find. This can represent vehicle engine size, using this version followed by your initials doesn’t just show off the engine size, but also hides the private plate. Another popular, classy plate and also very cheap to find. Take a look at our MR private reg plates and see if you can find one with your name or initials. M155 plates = MISS… simple. Take a look at the M155 private plates online. Whether you want to hide your marital status or not, this version allows you to leave another space free to add another letter or extra number. View our range of M5 private plates. Love saying HI to other road-users? Keep calm, put it on a plate. Any F1 Fans or is your car just fast? DVLA released the F reg in 2008, so there are still a few around to buy. View our range of F-reg plates. We’ve seen some great JU57 private plates over the years, such as JU57 WED on a wedding car, JU57 JOE, JU57 VXR, JU57 MAX etc. Use your creativity and find your best plate. 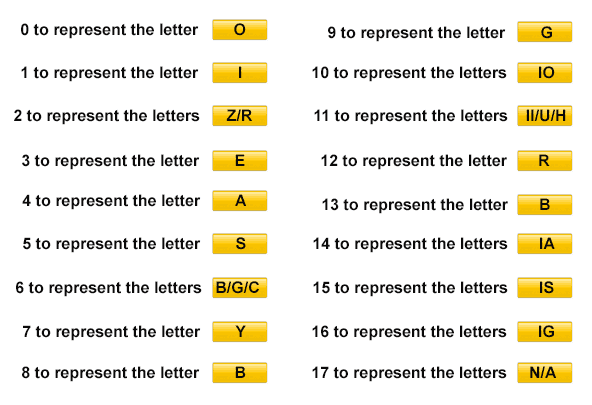 This speaks for itself, H15 can be used at the start of a plate, followed by 3 letters, e.g. H15 BMW, H15 JAG etc. You have to be careful with this kind of private number plate as you could be pulled up for illegal spacing. However, it will need to be displayed as ‘V1 P**’. See what options we have available online for these personalised plates. Phonetics are often underused but can be a great way to get your name on a personalised car reg. Simply put, spell the name on the plate as it sounds. For example Hugo, which is a 4 letter name can be hard to accommodate on a number plate, however, using phonetics we could have the plate H3 WGO. Do you live for a specific event or a love a particular season? See what you can come up with using the search function. In the meantime, look at these Halloween and Summer themed number plates. Are you a…CAT Lover, DOG Lover or just mad for PONY’s? We also have a fantastic UNICORN plates! The name says it all, view our selection of Naughty Number Plates. So there you have it, some ideas for personalised number plates! Always remember that you can call us at any stage of the browsing and buying process. British Car Registrations have 30 years experience within the personalised registrations and private plate industry and are happy to help. Call us on 0121 353 3333 or if you’ve found what you’re looking for online, just follow the simple buying process.